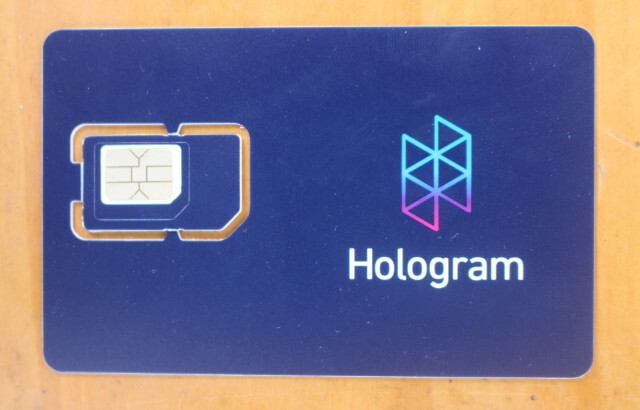 Hologram is a service that offers 2G/3G/4G cellular connectivity for the Internet of Things via a SIM card that works in over 170 countries, and with pricing starting at $0.40 per month. In order to promote their services, the company offers a free developer SIM card which I ordered when I first wrote about the service last month. I was pleased and surprised they would sent it to Asia for free, and I got the card in a bubble envelop. 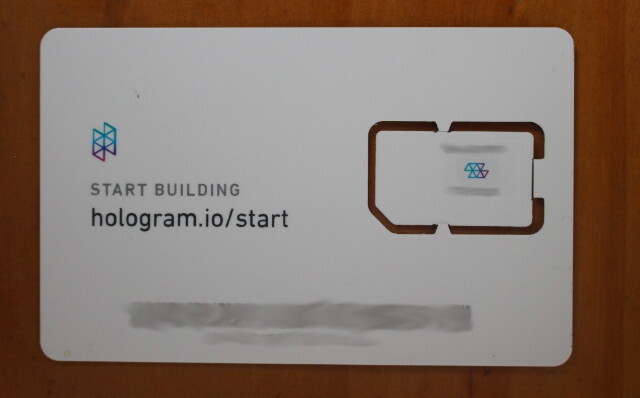 The back of the card includes a 18 to 22 digit SIM card number and bar code, that we’ll need to use for activation, and a link that redirects to https://hologram.io/docs/. 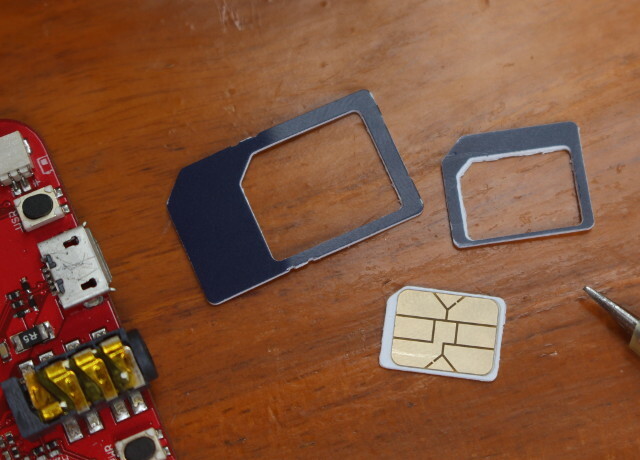 I planned to try the card with Wio GPS tracker board which requires a nano SIM card, and there are convenient cutouts to convert the SIM card to micro SIM or nano SIM card formats. Before using the card in your board, you’ll need to activate it by logging into the dashboard with email and password you used to purchase the SIM card. You can then click on Activate your first SIM to get the activation page. 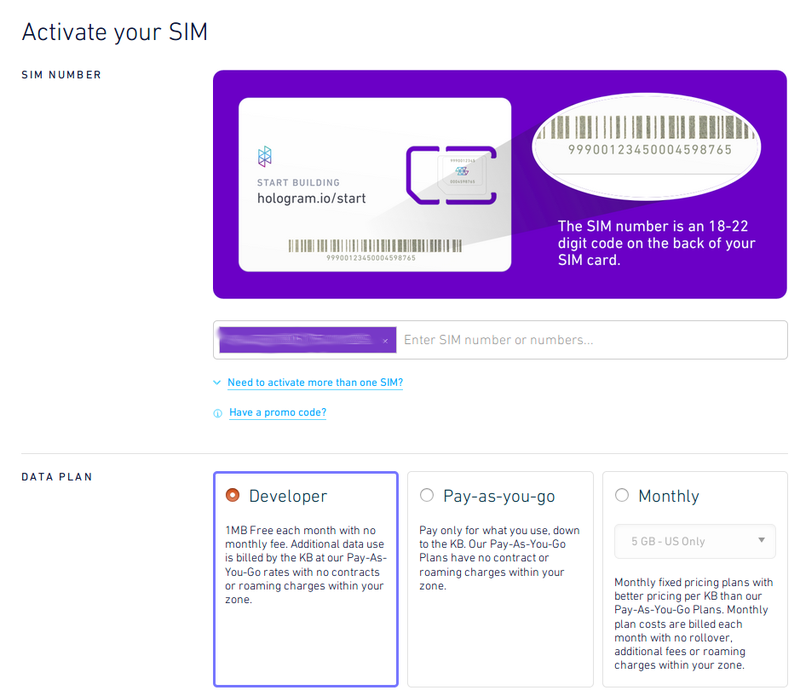 In the first part of the page, you’ll need to type your SIM card number, and select your data plan between developer, pay-as-you-go, or monthly. 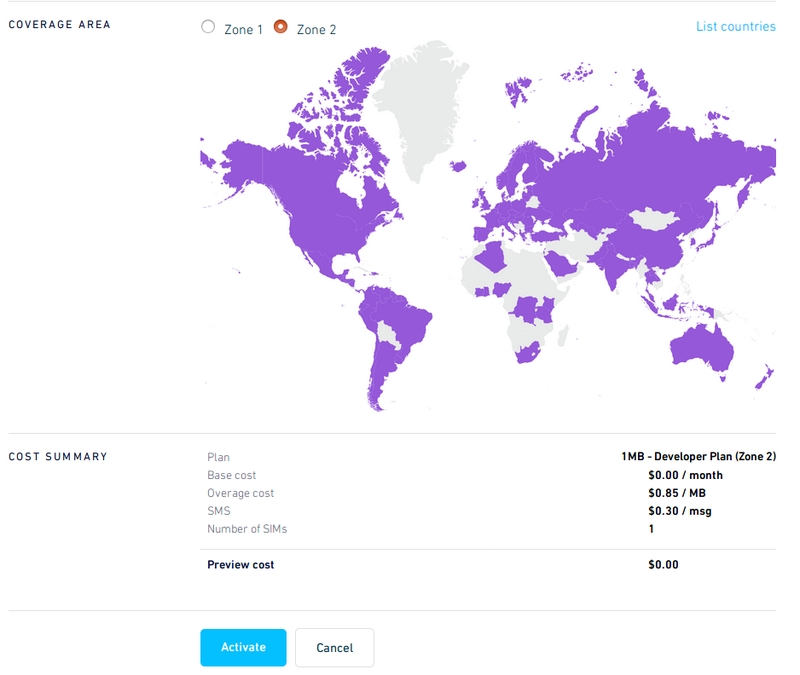 The second part of the page will allow you to select the zone with zone 1 being cheaper buy supporting less countries, and zone 2 supporting all countries shown above. It will show the cost summary, in my case $0.00 since I’m using the developer plan, and you can click on Activate to complete registration. That’s it, no requirement for ID card or passport copy, or anything. You’re newly registered SIM card will then show up the list of devices. But the program also failed with QIOPEN AT command failure (ERROR:QIOPEN) when trying to establish a TCP connection. Roaming needs to be enabled, but I could find a way to do so, and I did not have much luck already with my own SIM card during Wio GPS review possibly to the 2G limitation of the board, so I decided to try another option. 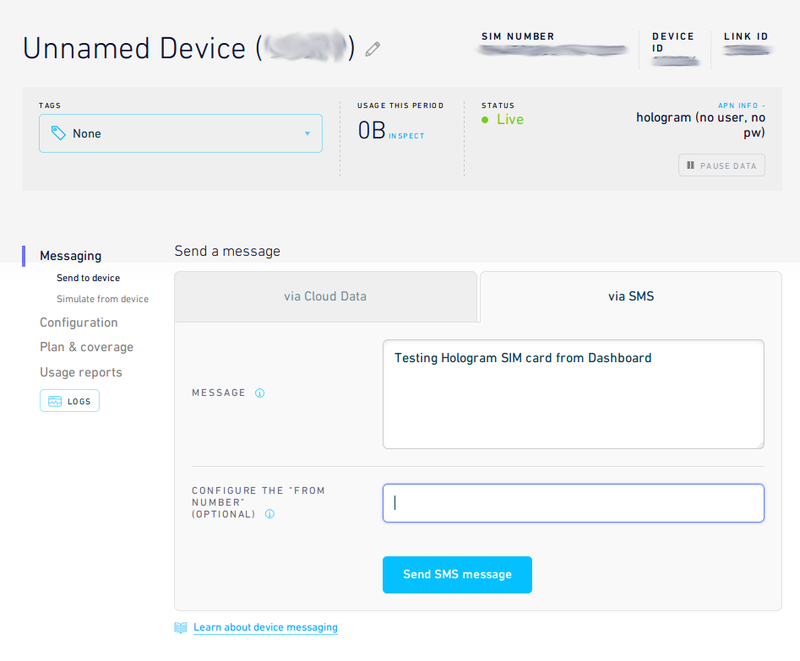 Hologram has a tutorial with Raspberry Pi and a 3G USB dongle, but I did not want to purchase a dongle that I would not use regularly, so I decided to try the card with my phone, even though it’s definitely not the use case for it. So I replace my current SIM card with hologram SIM card in my phone, and immediately I could see a 4G connection was established with the notification showing a “Local Telco”|Hologram message, and the local Telco changing between at least two different companies during my review. I then tried to send an SMS to a local number using the internal format with country code, and it was successful from my side, but the other phone never received anything, even after several attempts and enabling roaming. I went back the Hologram Dashboard in my web browser and send an SMS via the web interface and it worked nicely with the SMS coming from a number in the UK (+44), but you can already spoof any number using the dashboard or SMS API. A phone number allows you to easily send an SMS to your device from another SMS-compatible device. Phone numbers are NOT necessary to deliver an SMS via API calls or via the Dashboard – they basically enable you to send an SMS to your device directly from another cell phone. The main reason to purchase a phone number is if you want to send an SMS from a phone to your device instead of using the Dashboard or API. Note that the device will be able to respond back to your SMS but the response may show up as being from a different number. This is a special, internal number that your phone may not be able to SMS directly so you should send all messages to the purchased phone number. This is something that we’re working with our carrier partners to improve in the near future. 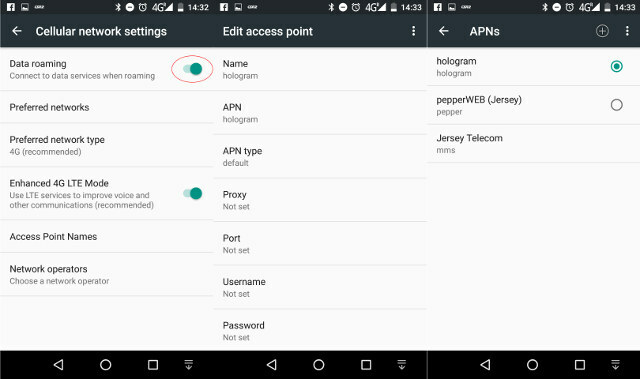 Beside SMS, you can also use the SIM card for data, and to do so you have to configure hologram APN in your device without username/password, and enable roaming. I could do this easily in my Android phone. The company also mention to enable DHCP, but I did not have that option in my phone and it was not needed. Finally, I enabled data connection in my phone, and created a small text files on my server to download it over a cellular data connection. 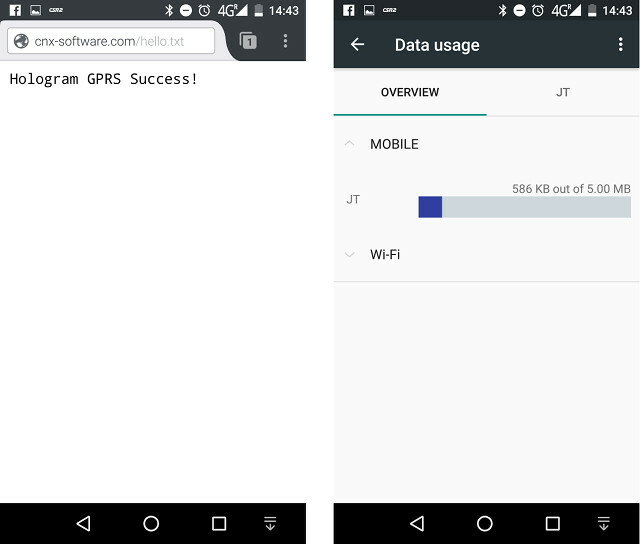 I did so, because you have to remember your free monthly data is limited to 1MB, and the average webpage is now 3MB… The text in the file reads “Hologram GPRS Success”, but it was actually done over an LTE data connection. 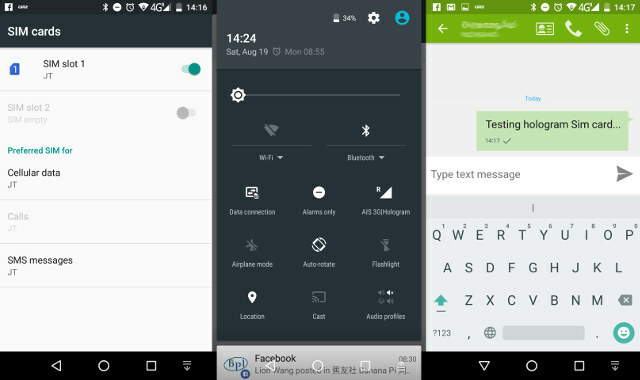 It might also be a good idea to disable auto-sync, if you plan to test the SIM card in your phone, as background traffic is not negligible with 586KB of data transfered over a few seconds. 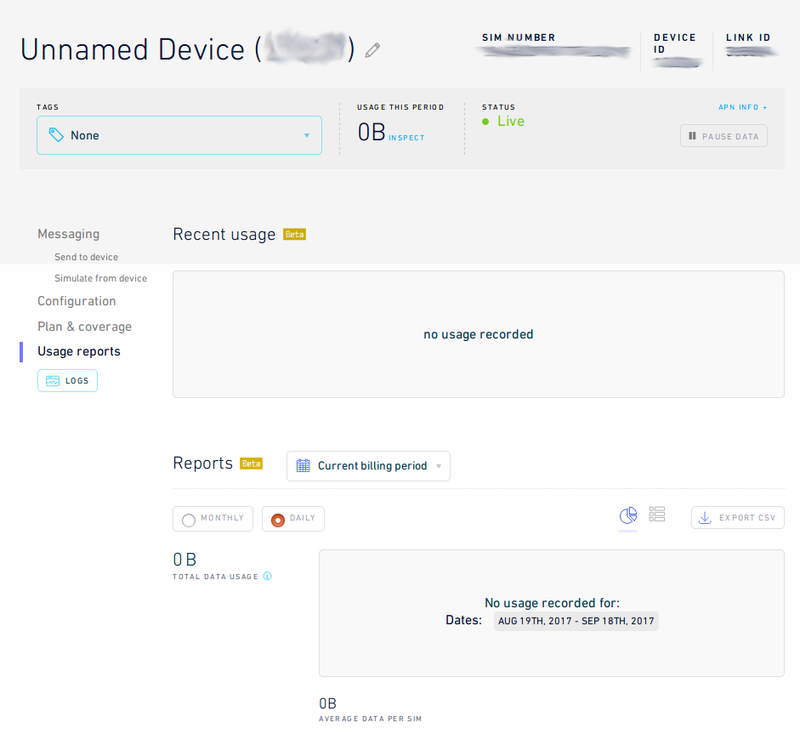 The Usage Reports in the dashboard is not updated in real-time at all, as I took the screenshot below after 5 hours, and no activity was registered at all. But checking out the data after and the usage report seemed correct. 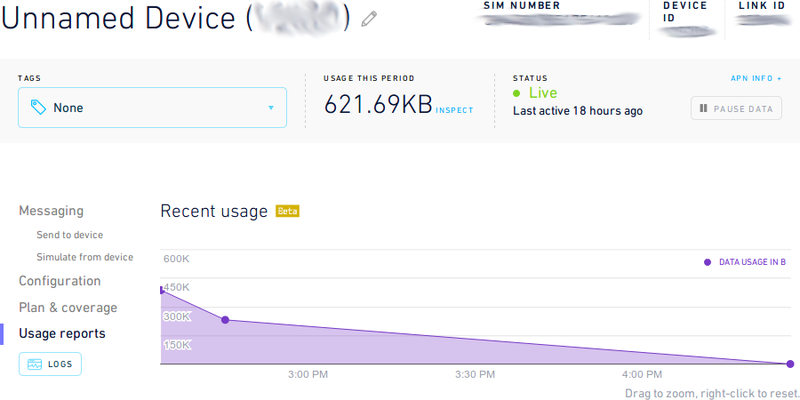 So in summary I was able to receive SMS from the dashboard, and setup a cellular data connection to access the web, but for some reasons, I was unable to send SMS using the SIM card, maybe because I did not purchase a phone number. 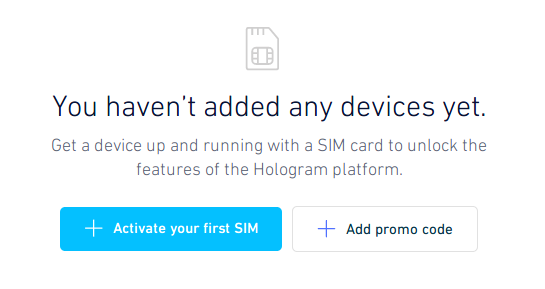 If you live in a country with strict regulations for local SIM cards such as providing an ID card copy and/or proof of address, it looks like it is not needed with Hologram SIM card, because it’s a foreign SIM card that works with roaming, in the same way that tourists would use their phones while in vacation in a foreign country. Ordered one for free! Coupon works great. Thanks for the information! The link is at the end of the review. Make sure to use the coupon for free shipping. Check the IMSI, but I’d put money on the underlying provider being “Jersey Telecom”. @Whiterat It is Jersey Telecom; just verified with personal Hologram SIM.